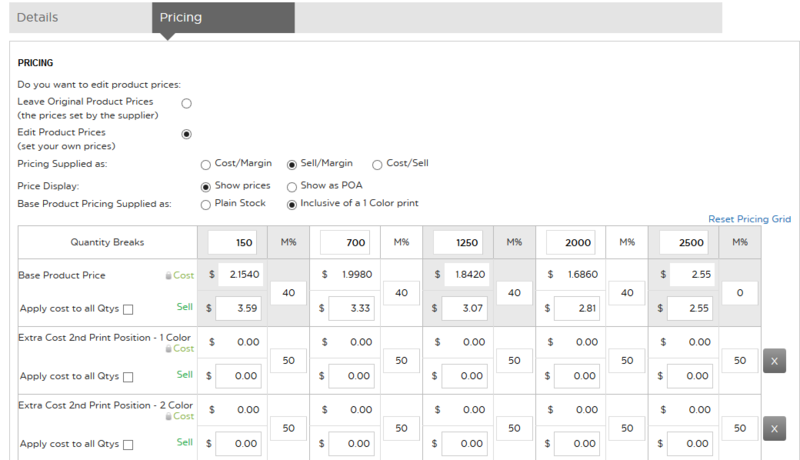 Step 2: Use the search critera on the left to find the product you want to edit. Select that product by clicking on 'Details'. Step 3: Click on 'Edit Product Details'. Step 4: You will see two tabs: Details and Pricing. 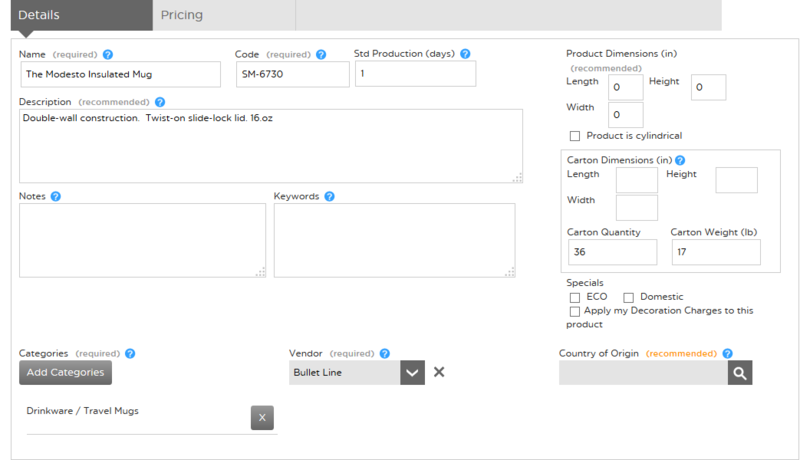 Use the Details tab to edit the product name, description, keywords etc. Try including keyword text in the product description which will help to optimize the product for search engines, for example 'this insulated tumbler is perfect for ball games and sporting events'. Step 5: Click on the Pricing tab. Bear in mind that if you edit the product pricing, this will prevent STORE from updating the product in the event that the supplier increases their cost price. We would generally recommend not editing pricing, and instead using Sell Price Control to change your profit margin by product, category or supplier. Step 6: Click on Check / Save Product to return to the Product Detail screen. You'll see confirmation text that you have successfully amended the product. The revised description will now be live on your website.